A few days back, 1-year-old Rohit, son of Gajendra, was rushed to the hospital in a state of Anaphylactic Shock. Anaphylactic shock is when an extreme, often a life-threatening allergic reaction to an antigen to which the body has become hypersensitive. Rohit is now in the ICU on ventilator support and will continue to remain so for the next two weeks in order for his condition to recover. The total cost of the treatment is around 5 lakh Rs. Gajendra does not have the funds required to pay for his son's treatment and is worried that without the money he will lose his son. He needs our help. Your contribution can give Rohit the treatment he deserves. 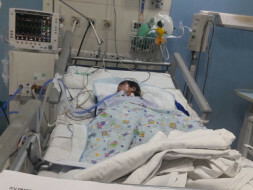 Rohit was shifted from Jodhpur to Chandigarh, doctors are still not able to find a diagnosis for his condition. As of now, his condition is still the same. The treatment for him to keep him stable is still going on, we shall keep you all posted. Please keep praying for him, thank you for your support up till now. Rohit was well for a while but again his health started deteriorating. He has been shifted to AIIMS Jodhpur previously he was in Manipal Hospital. Doctors are still trying to find a diagnosis but there has been no improvement in his health so far. Doctors are doing tests based on whose reports they will decide the future course of action. Tentatively, the reports shall come by 19th April. We shall keep you all posted and we sincerely thank you all for your support. Please share your campaign with your family and friends. Rohit has undergone the treatment for Anaphylactic Shock and is out of danger now. He has been shifted to the ward and is doing good now. The doctor will decide upon the discharge procedures soon after his check up today. After the discharge, he has to visit the hospital for regular follow-ups. 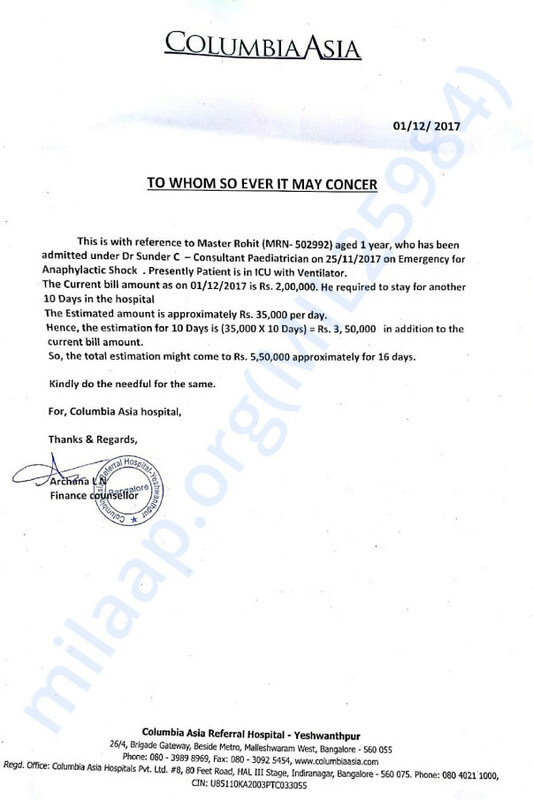 The funds will be utilized to settle the hospital expenses. Thank you for your support and love for Rohit. Please keep him in your prayers.